I like your AVRI Jag, it's one of the most beautiful Jags I've seen. 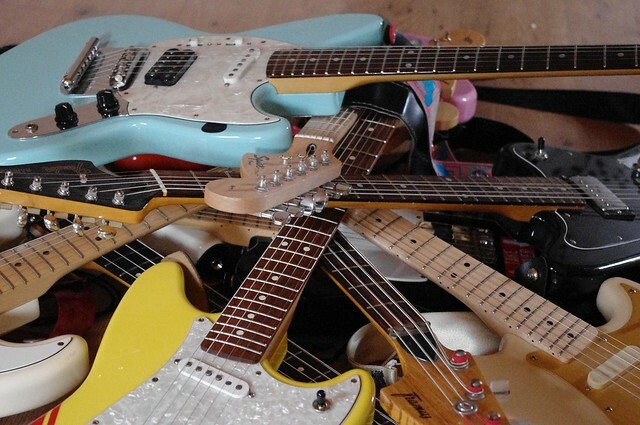 What about the greenish guitar at the bottom of the left pile, under the Bronco, what is it? GFS JT-100 with a mexican fender strat neck on it that RobOG reranched for me!!! What's the (Tele?) with the binding Rob?